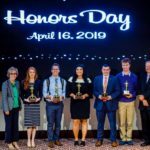 HIGH POINT, N.C., Jan. 7, 2019 – As part of an ongoing commitment to community enrichment, Fox 8 WGHP will air High Point University’s “Leadership and Life Skills” series every Monday at 7 p.m. from Jan. 14 through April 29. You can also experience these leaders anytime online at www.highpoint.edu/series. 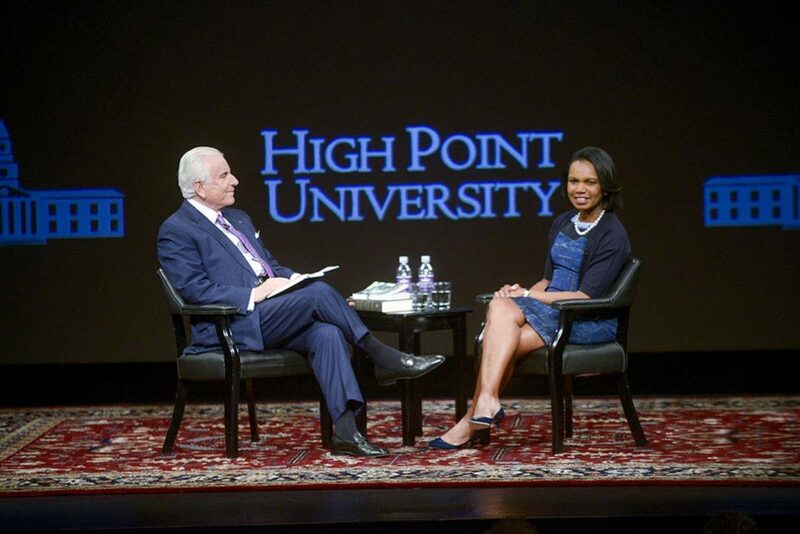 During each program, influential thought leaders including former Secretary of State Dr. Condoleezza Rice, UNC-Chapel Hill Chancellor Dr. Carol Folt and ABC News’ Byron Pitts join HPU President Nido Qubein in a conversation about achieving success and embracing moments of failure while connecting with and encouraging students to move the world forward in positive ways. Each episode was filmed in front of a live audience on the HPU campus. For more than 50 years, Powell has devoted his life to public service. Having held senior military and diplomatic positions across four presidential administrations, Powell’s deep commitment to democratic values and freedom has been felt throughout the world. From 1987-1989, Powell served as President Ronald Reagan’s national security advisor. He served from 1989-1993 as chairman of the Joint Chiefs of Staff for both President George H.W. Bush and President Bill Clinton. Powell is a member of HPU’s National Board of Advisors and delivered the 2014 Commencement address. Sandys speaks on various aspects of her grandfather’s life. She has presented a three-part documentary based on “Chasing Churchill,” one of five books she has written. Ashton coined the term “the Internet of Things,” co-founded the Auto-ID Center at Massachusetts Institute of Technology, and has led three successful tech start-ups, including Zensi, which he co-founded and sold to Belkin in 2010. His writing about innovation and technology has appeared in the New York Times, The Atlantic, Politico and Quartz. As Secretary of State, Rice championed the idea of “Transformational Diplomacy,” which expanded the number of diplomatic governments throughout the world. She also helped successfully negotiate several agreements in the Middle East. Rice has appeared four times on Time Magazine’s list of the world’s 100 most influential people. She currently serves as a professor at Stanford University and was HPU’s 2016 Commencement Speaker. Dychtwald created Age Wave to guide Fortune 500 companies and government groups in product/service development for boomers and mature adults. His explorations and innovative solutions have fertilized and catalyzed a broad spectrum of industry sectors—from vitamins and cookies to automotive design and retail merchandising to mutual funds and health insurance. During his career, Dychtwald has addressed more than 2 million people worldwide in his speeches to corporate, association, social service and government groups. His accurate predictions and ideas are regularly featured in leading print and electronic media worldwide. Blitzer has been with CNN for more than 20 years. Over the decades, he has reported on a wide range of major stories that have shaped the international political landscape. Blitzer was pivotal to CNN’s election coverage throughout “America’s Choice 2012,” serving as lead anchor on key primary nights, caucus nights and election night. He moderated three of CNN’s Republican primary presidential debates, including the first-of-its-kind Tea Party debate. During the 2008 presidential election, Blitzer spearheaded CNN’s Peabody Award-winning coverage of the presidential primary debates and campaigns. He also led CNN’s Emmy-winning “America Votes 2006” coverage and “America Votes 2004.” Furthermore, he anchored the network’s coverage during the inaugurations of Presidents Barack Obama and George W. Bush. Atala is also the W.H. Boyce Professor and chair of the Department of Urology at Wake Forest Baptist Medical Center. He is a practicing surgeon and researcher in the area of regenerative medicine whose current work focuses on growing new human cells, tissues and organs. He has received global attention for using 3D printing to create organ prototypes. He serves on HPU’s National Board of Advisors. Folt is an internationally recognized scientist, award-winning teacher and the first woman leader in the university’s history. She has already made an impact setting fundraising records, launching the school’s first ever public-private partnership to create an on-campus research center and championing the mission to protect students from sexual assault. Groban has entertained fans across the globe with his multiplatinum albums and DVDs (over 30 million sold worldwide), electrifying live performances, and comedic film and television appearances. The 35-year-old Los Angeles native is the only artist who has had two albums appear on the Top 20 Best-Selling Albums list of the past decade, according to Billboard. He has appeared in the feature films “Crazy, Stupid, Love,” “The Hollars,” “Coffee Town,” and “Muppets Most Wanted,” as well as on NBC’s “The Office,” FX’s “It’s Always Sunny in Philadelphia,” CBS’ “The Crazy Ones,” and his new Netflix show, “Good Cop.” He delivered HPU’s 2018 Commencement address. King heads one of the largest clinical lab providers in the world. LabCorp, based out of Burlington, operates a sophisticated laboratory network with more than 34,000 employees and 220,000 clients, including physician offices, hospitals, managed care organizations and biotechnology and pharmaceutical companies. He is a member of HPU’s National Board of Advisors. Dweck’s book also inspired HPU to select “Growth Mindset” as its Quality Enhancement Plan (QEP) theme. 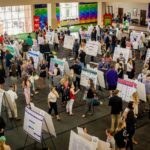 Through the QEP, programming and curriculum that fosters a growth mindset will be prevalent across campus. Randolph is a veteran Silicon Valley entrepreneur, advisor and investor. 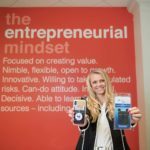 He also serves as HPU’s Entrepreneur in Residence. While at Netflix, he served as the founding CEO, executive producer of their web site and as a member of their board of directors until his retirement in 2004. Although best known for starting Netflix, Randolph’s career as an entrepreneur spans more than four decades. He’s founded more than half a dozen other successful start-ups, served as a mentor to hundreds of early-stage entrepreneurs, and invested in numerous tech ventures. McCarthy is a consultant whose primary work focuses on the individual and collective challenges faced by leaders and senior teams developing and executing strategic change. Kevin works with leaders and senior teams as a thought partner/coach on strategic and emergent change efforts. As CEO and dean, she has the overall responsibility for the Medical Center’s clinical, academic and innovation enterprises and its annual operating budget of $2.5B. Previously, Freischlag was vice chancellor for Human Health Sciences and dean of the School of Medicine at UC Davis. Freischlag has helped to drive change in academic medicine with a deep commitment to diversity and inclusion. For more than 15 years, she has led education and training programs at top medical schools in her role as professor and chair of surgery and vascular surgery departments. Freischlag also has more than 30 years of experience leading patient-care services as chief of surgery or vascular surgery at nationally ranked hospitals. Erricson is a professor of psychology at Florida State University who is internationally recognized as a researcher in the psychological nature of expertise and human performance.